Brisbane Plumbing and Drainage provide professional electric hot water services throughout Brisbane and suburbs. 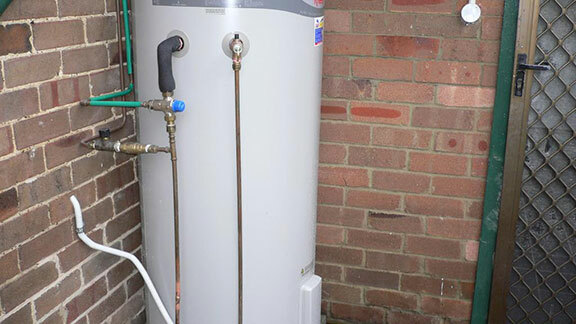 Our experienced plumbers offer the installation, repairs and maintenance of electric hot water systems from all the major brands, both electric storage and instant models. Many homes across the city use electric storage hot water systems to provide abundant, reliable water heating. Many brands are stepping up to create energy efficient storage options which make upgrading or replacing your current hot water heater with a new system easy. Off-peak options allow you to connect your water heater to cheaper tariff options saving money reducing home water heating costs. Using off-peak power could mean you need a larger water tank to ensure your home doesn’t run out of hot water. Electric storage still one of the most economical types of hot water to buy and install. Electric boosted solar hot water systems utilise the abundant sunshine available to us in South East Queensland. The electric booster supplies back up during cloudy days or rainy periods, as well as ensuring your home has hot water in the morning. Never run out of hot water again with an instant electric hot water system. Ideal for hard to access or lower demand spaces such as the office kitchen or granny flat. Heat water when you need it where you need it. No more waiting for the hot water to reach the tap, place the instant system under or near the water outlet for instant hot water every time. Instant or continuous flow systems also save energy by only heating the water on demand. Brisbane Plumbing and Drainage can take care of all your electric hot water system requirements, contact our team on 1300 740 206 or complete our quick hot water booking form today.